It all starts with finding a great piece of content you’d like to share with your audience. For best results be sure to share something you think they’d enjoy reading and find highly relevant. 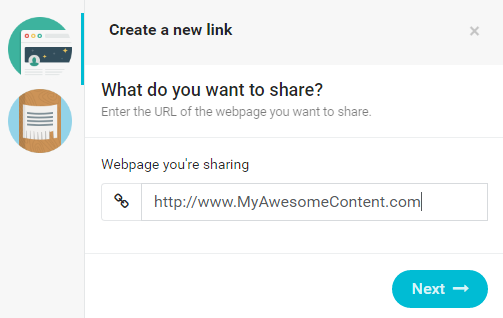 Head over to your dashboard and copy the URL over to the Backly URL input field. If the link is valid (and can be used with Backly) you should see a preview. 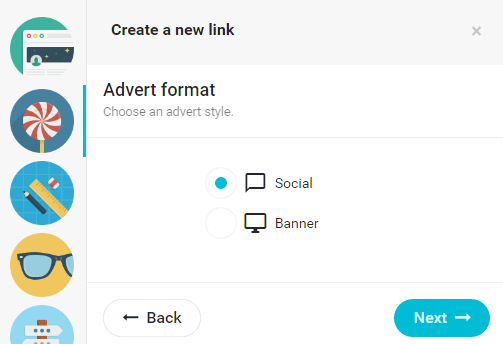 If it’s your first time creating a link hit next and select your style of advert, currently we have a social and banner type (more to come soon!). Otherwise if you’ve already created a link before you can choose to reuse a previous advert. 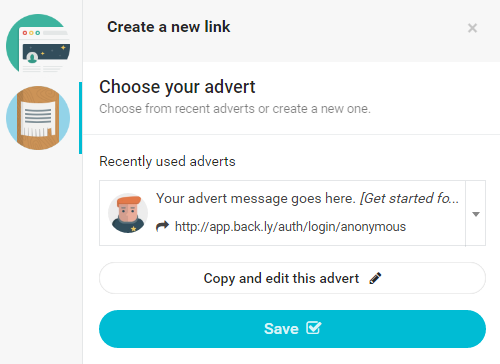 Hitting the save button above will automatically create your Backly link with the URL from the previous step with your chosen past advert. 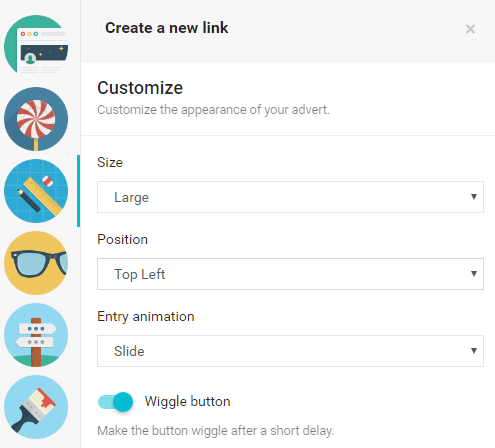 If it is your first time here (or you want to create a new advert from scratch), the next step after choosing your advert style is to customize its appearance. You can change the size, positioning and animations. 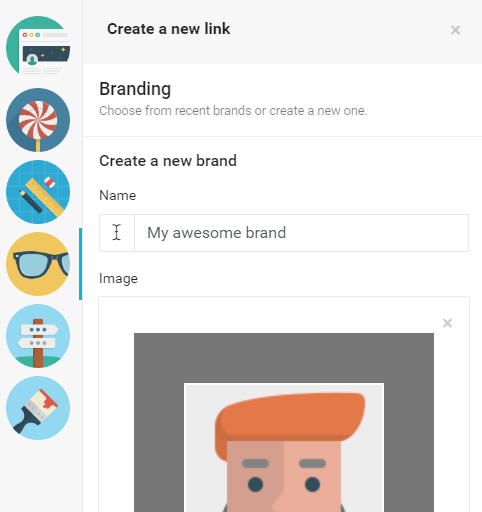 On the next step create your first brand by including your brand’s name and an image. (If you’ve already created a brand before you can reuse a previous one). 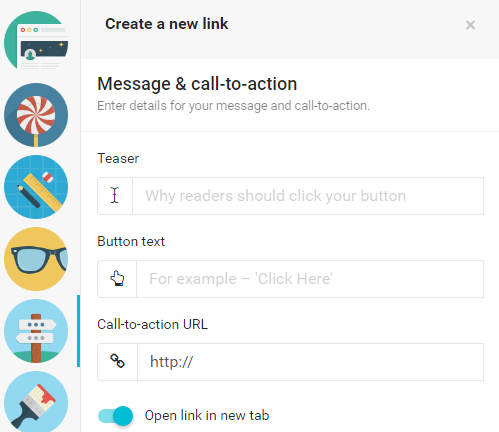 Hit next and type in your message along with the button text and the link you’d like to drive clicks to (plus if it should open in a new tab or not). On to the final step. 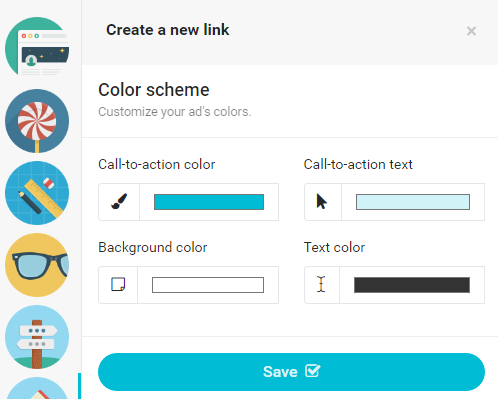 Choose your colors and once happy hit save to create your Backly link.